Why Build a Productized Service (Instead of Consulting)? So why build a productized service instead of consulting? 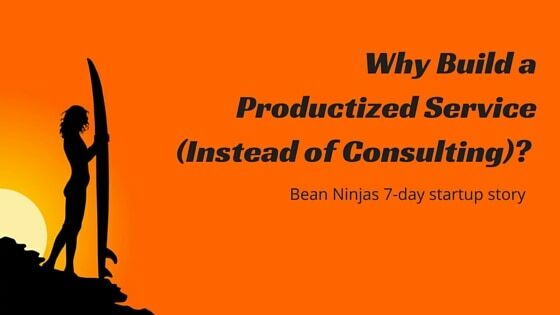 This post takes you through the challenges I faced in scaling my consulting business and our decision and journey in creating a productised service now known as Bean Ninjas. Ben McAdam and I met in an online entrepreneurs community ‘mastermind group’. We both ran our own accounting firms and were struggling with the productising and scaling of our businesses. The mastermind started out as Ben and I keeping each other accountable on our quest to productise our individual accounting businesses and resulted in us co-founding Bean Ninjas – an online bookkeeping business. My accounting consulting business had been running for 18 months and I had built up a client base of small businesses and had also landed a couple of bigger contracts in the $20k-$30k range, but I was working 6 days a week (sometimes 7) and finding it a very difficult business to scale as the projects were all so different. My business was profitable, but I was still earning less than I was in my last accounting role and working far more hours. I hadn’t achieved my goal of having a comparable income with more flexibility and free time to surf and travel. I could see there was potential to achieve that goal, but it was going to take at least another year or two of working late nights and weekends and there was no guarantee I would ever achieve it. It was about this time that I joined the productised service mastermind in the DC (the online entrepreneurs community I am a part of) and started talking with Ben. Ben and I were facing similar challenges in trying to scale our businesses. Looking around us it seemed like there were plenty of startups and businesses experiencing huge growth, but looking at our own businesses we could only call the growth moderate. As Ben and I shared more about our businesses I realised, I was the growth bottleneck in my business. I was doing all of the sales work including quotes, proposal writing and face to face meetings and I was also handling everything related to setting up the client on their new accounting system. Once the client was familiar with their new processes and we’d sorted out any initial problems, I could pass on the regular accounting and bookkeeping work to my team. I found that margins were better on bigger clients but it could take between 3-4 months from the initial client contact to me finalising the handover with my team. Change the type of work I was going after so I could simplify the sales process and handover to my team in 1 week instead of 4 months. I looked into hiring someone to take over the sales and client implementation work, but for a number of reasons at this stage of my business it wasn’t viable. That left me with option 2, changing the product offering and sales process. 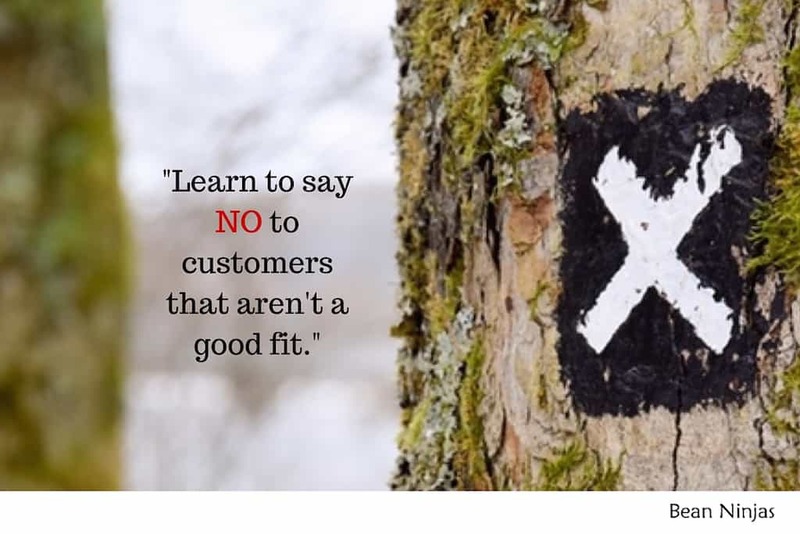 Ben and I discussed this in one of our masterminds and I realised that I needed to learn how to say ‘no’ to customers that weren’t a good fit, rather than spending a lot of time trying to adapt my product to what they wanted. 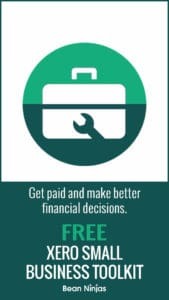 During the course of the mastermind I had made some progress in productising my consulting business and had between 5-10 clients on fixed fee monthly plans. The problem was each plan was customised for the client and weeks (sometimes months) were still being spent scoping out the client’s requirements, preparing a proposal and negotiating the contract. Yes this business model had the potential for recurring revenue but I was still the bottleneck in how quickly we could grow. I thought I was being niche but in reality I wasn’t. Bean Ninjas was born… and launched fast! From here things progressed pretty quickly. Ben and I realised that we were trying to achieve the same thing in two different businesses so we decided to create a new business together. Instead of trying to be everything to everyone we needed to pick a specific accounting service and do it well. 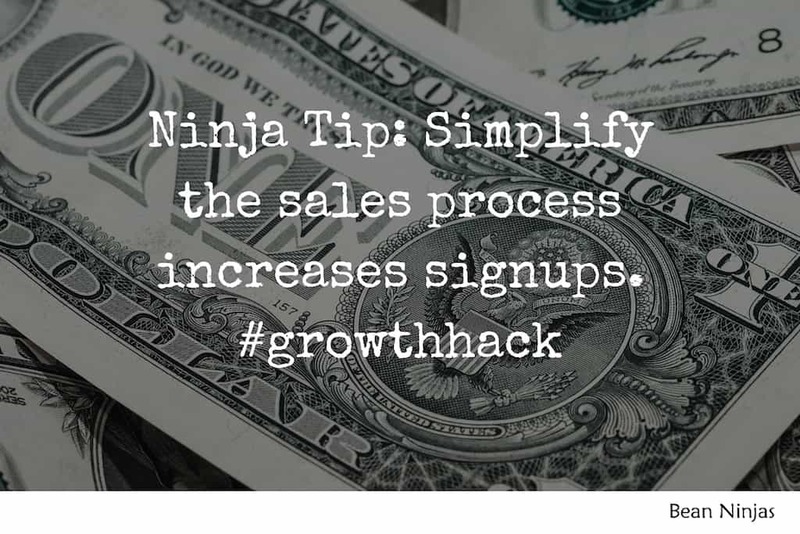 It needed to be simple enough that someone could select their plan and sign-up on the website rather than going through an extended sales process. We’d both read Dan Norris’s 7 Day startup and decided to go for it and apply the 7 Day startup methodology to our productised service accounting idea. We spent 3 days together last month and launched our online accounting business Bean Ninjas by the end of that week. Our mini startup weekend was highly effective! It’s amazing what 2 people can achieve in 3 days when you lock yourselves away from distractions, prioritise tasks and set aggressive timeframes to get things done. Bean Ninjas is now a few weeks old and we’ve got customers! It’s still early days for us and we’re working hard to do a great job for our existing customers and find new ones. continuing a growth phase and focused on systemisation, scaling and customer acquisition. We grew from 0 to $100k in 8 months, and released our April 2016 growth report including our next steps. Having always prepared custom proposals one of the things we found the hardest was fitting our product into 3 tiers and deciding what to include in each tier. We’re open to suggestions and want to make this the best online bookkeeping service available. If you have any questions or feedback, especially around your thoughts on the pricing tiers, please add a comment below.